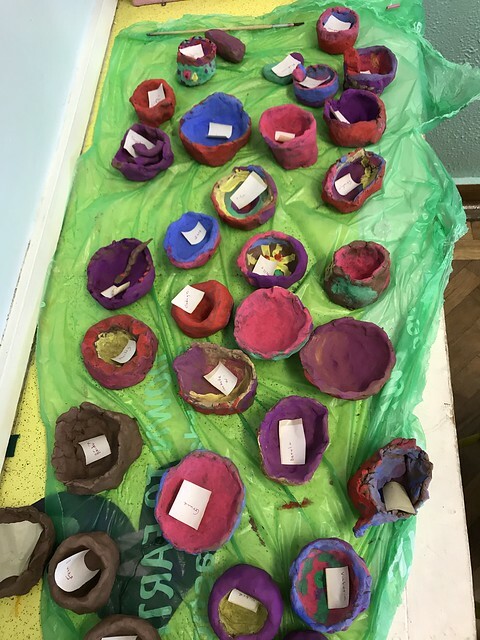 Senior Infants were busy making clay pinch pots this week. They had great fun moulding their pots and painting them once they were dry. They filled them with sweets to give to their families as a Valentine's gift.